Approximately 30% of all stroke patients suffer from post-stroke visual impairment. Hemianopia is the most common symptom, but also neglect, diplopia, reduced visual acuity, ptosis, anisocoria, and nystagmus are frequent. Homonymous hemianopia is seen in about 8% of those who have had a stroke, some of whom are still driving . Homonymous hemianopia is a loss of the same (homo) right or left halves (hemianopia) of the visual field of both eyes. It is usually occurs as a result of a middle cerebral or posterior cerebral artery stroke affecting either the optic radiation or visual cortex of the occipital lobe or haemorrhage in the temporal/parietal or occipital lobe. 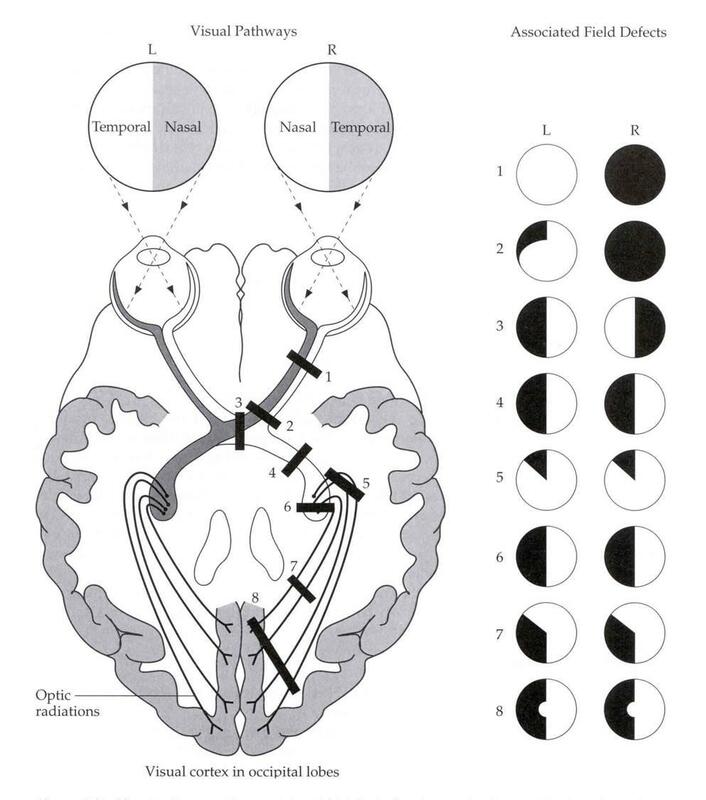 AN important fact is that the tip of the occipital lobe may receive a dual blood supply from both the PCA and end arteries of the MCA and thus the central or macular portion of the visual field of the patient may not be affected, resulting in an HH with macular sparing. Less severe and debilitating effects may be seen with quadrantonopias such as a superior quadrantanopia due to damage to the optic radiation inferiorly in the temporal lobe or an inferior quadrantanopia is caused by damage to the parietal lobe optic radiation. Monocular (blind in one eye) Can be due to localised eye disease from the cornea to the optic chiasma. Al patients need an Ophthalmological assessment. It may be vascular due to central retinal artery occlusion. Determine if artertitic (GCA) or non arteritis (embolism) by looking for a history of GCA/PMR, age and looking for vascular risk factors. May image ipsilateral carotid. This is a specific patterns of reading deficit caused by a focal brain lesion, usually a stroke, often affecting the left hemisphere. Reading involves using the righthand side of a word to help plan reading eye movements across the line of the text. A right HH and resulting hemianopic alexia results in deficiencies in this process with insufficient eye movements and text reading. Reading impairment poststroke is commonly reported and can be severely debilitating. A field of at least 120° on the horizontal measured using a target equivalent to the white Goldmann III4e settings. The extension should be at least 50° left and right.In addition, there should be no significant defect in the binocular field that encroaches within 20° of the fixation above or below the horizontal meridian. This means that homonymous or bitemporal defects that come close to fixation, whether hemianopic or quadrantanopic, are not usually acceptable for driving. The Secretary of State’s Honorary Medical Advisory Panel for Visual Disorders and Driving advises that, for an Esterman binocular chart to be considered reliable for licensing, the false-positive score must be no more than 20%. When assessing monocular charts and Goldmann perimetry, fixation accuracy will also be considered. Prognosis is difficult to predict and a wait and see approach is wise. I tend to wait 2-3 months and then review formal field tests. 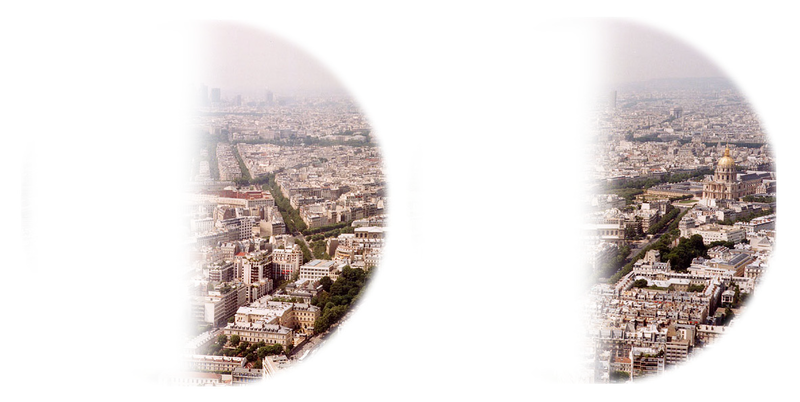 Prism lenses can be used to shift images from the non-seeing to the seeing visual field. Gilhotra JS, Mitchell P, Healey PR, et al. Homonymous visual field defects and stroke in an older population. Stroke 2002;33:2417–20.